Worldgo is a value based Travel Management Company founded in Vancouver, Canada by long time friends Eric Sakawsky & Sumeet Bains. After 15 years in the travel industry our co-founders went into business together in 2015 to look at corporate travel from a different perspective. Growing quickly, a key fundamental to our early success has been our outstanding personal service, commitment to technology, and complete transparency. We will never mislead a customer for our own benefit, and have proven that the corporate travel industry is ripe for disruption from the traditional (that means old) approach. Proudly Canadian we like doing good business and are committed to serving clients on their terms. Our mission is to reduce the cost and complexity of travel management through unparalleled personal service, complete transparency, and a continued focus on innovation. With an average of 100+ flights per year for the past 10 years, I have dealt with numerous corporate travel agents, commercial travel agents, a variety of travel self-serve systems and trying to muddle through it myself - all to say that I have never, NEVER received such a high level of customer focus and complete attention to detail than what I have experienced with Worldgo. Eric and his team have made all aspects of my corporate travel pain free, seamless, solution-based, attentive and all wrapped in a a complete customer-centric service model. This high touch type of service truly allows me to focus on my global retail role and our customers without the worry of travel and it’s challenges. Worldgo offers all round exceptional travel assistance with low fees and overall savings on our travel bookings. They support us with all travel aspects, from visas and passport requirements to customized reporting to suit our company’s needs. They are knowledgeable, efficient, and are always ready to assist with our ever changing travel plans. Worldgo has allowed SDG to reduce costs and simplify administration of our travel account whilst making our employees travel experience more enjoyable. The excellent service levels coupled with true around the clock access to the local team regardless of where we are in the world has been refreshing and valuable. In addition, we really enjoy the benefits of the technology offered including the calendar and mobile app integration. I love working with the team at Worldgo! 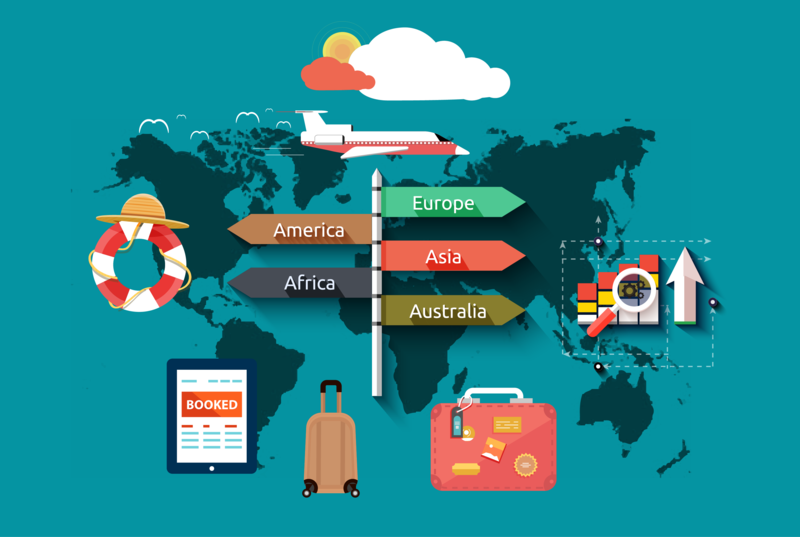 Researching and booking travel is time-consuming and Worldgo always helps to find the best in fares, classes, routing, etc. etc. They are always willing to go above and beyond to help us save time and money and to make our travel easier and more comfortable. One time an airline damaged my bag and the Worldgo team went out of their way to help me with the claim and follow-up! Whether you are travelling for business or pleasure, I would highly recommend Worldgo to anyone looking for a positive, helpful, and customer-service oriented team. Back in 2015, Worldgo organized travel for 35 of us to Dreamforce in San Francisco. Almost each traveler had special requests along with last minute changes. The entire Worldgo Team remained calm, friendly and completely in the know of each person’s itinerary throughout this process, no matter who answered the call/email. Since then, we have trusted them to not only take care of our traveling Tractionites (individuals or groups) before, during and after their trips, but also to go to bat for us on cost savings with airlines and hotels. Eric and Sumeet have also been extremely accommodating in creating custom reports to help us reconcile travel numbers and costs, so that we can measure the impact of travel on our employees as well as the environment. Thank you for the amazing few years of service, Worldgo! We used to book travel ourselves, that's a thing of the past now that we're working with Worldgo. Prompt, professional, and they always add value to the travel we book through them. Would highly recommend their services.